NGEZI Platinum striker Terrence Dzvukamanja says he needs more composure to maximise on chances that come their way. Dzvukamanja, who scored his fifth goal of the season on Sunday to catch up with Simba Nhivi, David Temwanjira and Lameck Nhamo, has been a revelation at Ngezi Platinum. “Everything is shaping up, since I am assisting, scoring and doing what is best for the team, so far I cannot complain though there is still room for improvement. “I should have more composure in the box and that is the area I am working more on, for me to able to score more goals.” Dzvukamanja told H-Metro. “Another thing I am working on to become a better striker is to also minimise mistakes in the box while converting chances. 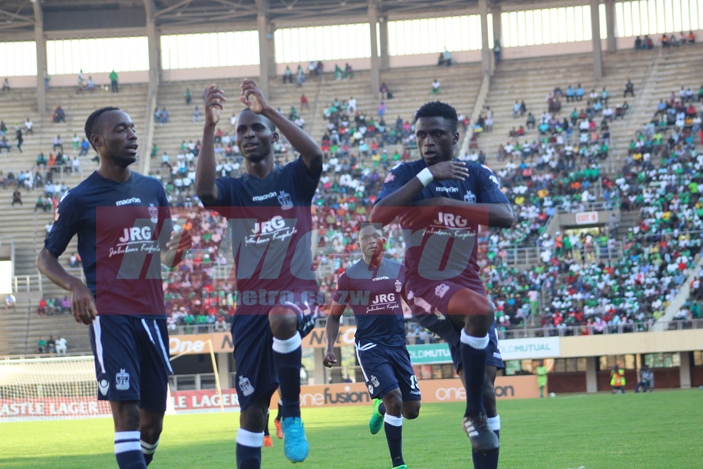 After they brushed aside CAPS United 2-1 at National Sports Stadium on Sunday, Ngezi Platinum are three points clear at the top. “The game was not easy. We had to fight harder to achieve a positive result. It was a bit difficult for us although we managed to beat CAPS United at their home. “We are very happy we set a new record and we made history today. “This year we are different from last year because we are not changing our play whether we are playing a big team or a small team. “We are maintaining our type of play and we are also getting better after each and every game. Until we finish the season you will continue to see this type of play from us,” he said. On Sunday Ngezi Platinum had been shocked by a John Zhuwawu strike and they needed something special to get back into the game. “I still have a lot to do for me to be the best striker. I am also targeting to be part of other competitions that will be hosted in the future, that will bring exposure and more game time making myself more visible. “A win against CAPS will boost our confidence going into the next game we are unstoppable,” he said.